Tiny granite particles blink as if they’re bioluminescent, illuminating the path ahead. Your breath is the only sound, like the ebb and flow of the ocean and your legs turn over and over and over and over leaving elliptical ghosts in your wake. It’s just you, the trail, the evergreen corridor and the endless sky. The surrounding coniferous forest springs up from the valley below, blanketing a steep, unencumbered watershed. Ponderosas mingle with flowering magnolia trees and dense canopies give way to soft meadows and tumbling, crystal clear creeks. Like an ant farm, the hills are quietly bustling with dozens of trails and just as many smiling, sweating, deeply breathing adventurers. These hills are part of the vertebrae of the wild mountain ranges that stretch the length of the West Coast and border Oregon’s southern line all the way to the lapping ocean. The network of trails found herein span for hundreds of miles and wind through pristine wilderness areas, biological hotspots, protected river corridors, technical craggy peaks and dripping, luscious forests. Welcome to Southern Oregon. Let’s Get Lost. Oregon’s southwestern corner houses the largest expanse of intact watersheds and wild lands on the West Coast, with hamlets of the Rogue Valley connecting to leagues of trails that dive deep into the untamed. From downtown Ashland, you can grab an espresso, lace up and trail run for 30, 40 or 50 miles. The park system in Ashland has over 600 acres of parkland and over 30 miles of official trails that will expand to almost 50 with the recently approved Ashland Trails Project. 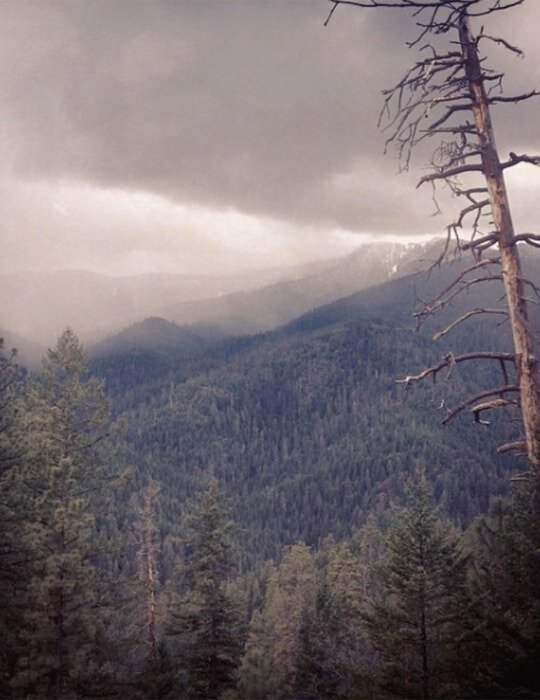 The trails spread into millions of acres of nationally protected lands, including the Soda Mountain Wilderness Area, the Cascade Siskiyou National Monument, Klamath National Forest, Rogue River National Forest and the Red Buttes Wilderness. Ashland gets a lot of press for being an outdoorsy town, a mountain biking paradise and a trail running haven — yet the trails above town aren’t crowded, not even a little bit. I rarely see more than two people on any given trail. Despite the quiet trails, the runners of the Rogue Valley weave a tight and welcoming community. Fellow runners greet each other with smiles and cheers. Even though it’s an individual sport, sometimes it feels like being on a wonderfully dynamic team. This team has produced more than half a dozen best- in-show runners, from Jenn Shelton, women’s record holder for the fastest hundred mile trail race, to Hal Koerner, winner of multiple ultramarathons including two Western States Endurance Run titles, and David Laney, 2015’s ultrarunner of the year. 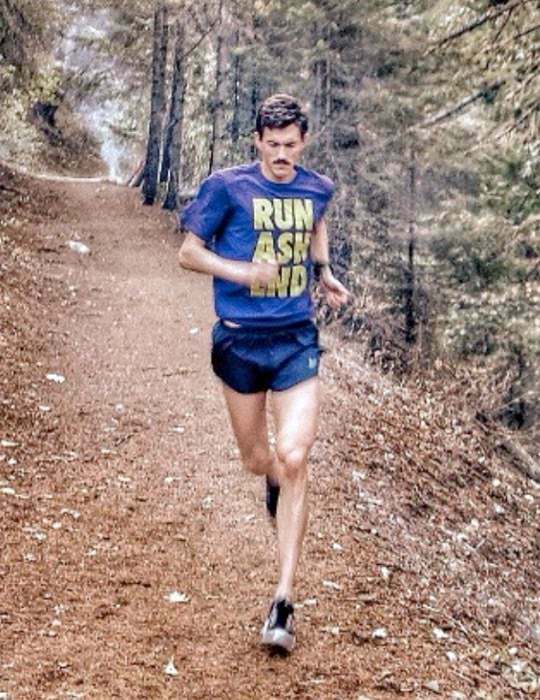 If you’re looking to get your feet wet (or dirty, rather), join the group run hosted by Rogue Valley Runners, the local running store owned by Hal, and check in with Southern Oregon Runners for the latest meet-up or to register for local races. For a longer adventure, join a raft-supported multi-day running trip down the Wild & Scenic Rogue River with Momentum River Expeditions, guided by local running experts. If you’d like guidance and coaching while you’re here, connect with Ryan Ghelfi and David Laney of Trails & Tarmac for customized coaching plans and services. Swing by the information desk in the Ashland Plaza to pick up the latest trail maps. 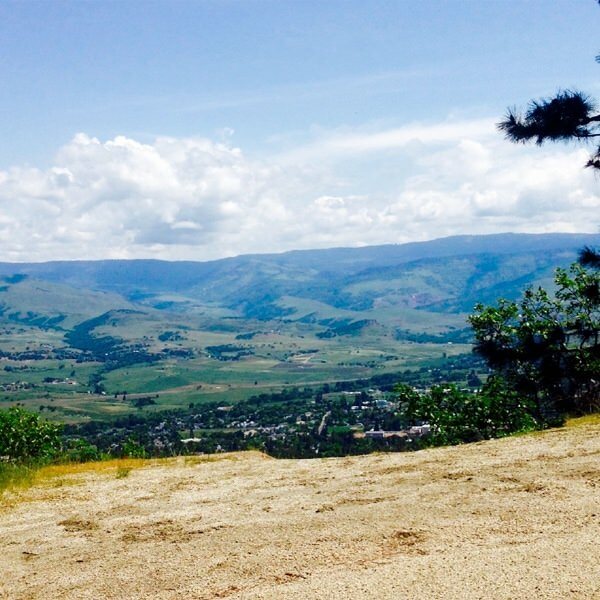 Ostrich Peak is a classic Ashland destination, requiring a steep ascent up the western slopes of town. From downtown, Ostrich Peak is a just over four miles and climbs more than 2,700 vertical feet. It only takes a moment before being rewarded with staggering views. From town, wind up to Hitt Road, a steep, granitic trail that twists through the coniferous forest and rewards with valley views frequently. Eventually, the trail will split — take the right fork onto Mystical Trail (no trailhead). Mystical continues the climb for another mile and half and then forks (don’t mistake this for the junction that happens almost immediately after Mystical begins). Take a right up to the summit. Voila! From Granite Street Reservoir, hop from BTI trail to Bandersnatch to Red Queen. Take Red Queen all the way to the intersection with Road 2060 (2.75 miles) then get on Caterpillar trail, which eventually ends up back on road 2060 (1 miles). Take the road up to Four Corners (3.25 miles) and continue straight at the intersection. Stay on this road (called Road 200) until it intersects with the Pacific Crest Trail (6.5 miles). Head east (left) on the PCT until the trail intersects with Old Hwy 99 (6.5 miles). Find the PCT again about 200 meters south (right). Continue on the PCT until the intersection with Pilot Rock trail (6 miles). Summit Pilot Rock. This run is about 25-30 miles from downtown Ashland. I documented this run for interested parties to conceptualize the vast opportunities from downtown Ashland. The accompanying video gives a taste of our trails, near and far. One of the first trails to be named in Ashland was “Alice In Wonderland” because of the thick canopy of Manzanita that made the trail feel like a rabbit hole. The theme stuck. This trail connects the trails of Oredson Todd Woods with the trails of Lithia Park. A little over a mile, this rolling trail offers great views and acts as the gateway to several other trailheads. Start at the White Rabbit parking area above Ashland on Road 2060. Start with Bandersnatch at the Granite Street Reservoir and climb to the intersection of Alice In Wonderland. Continue up to the White Rabbit parking area and connect with Caterpillar trail. Stay on Caterpillar until it ends at Road 2060 and Toothpick trail. This is a fun 7-mile round-trip through the forests above town. This is a multi-use trail so watch for mountain bikers. This doesn’t have anything to do with Alice In Wonderland, but it’s a local favorite, nonetheless. From Granite Street Reservoir, take Road 2060 Lithia Loop (west fork of Road 2060) up to Horn Gap Road junction. Keep on Horn Gap Road to Horn Gap Trail. At the end of Horn Gap Trail is No Candies Trail. Hop on the trail and enjoy the views. At the end of No Candies, take Road 400 back to Road 2060 Lithia Loop and back to town. This is a challenging and very fun 14-mile loop. Seven Lakes Basin is within the Sky Lakes Wilderness about 90 minutes east of the Rogue Valley in the foothills of the Cascade Mountain Range. The 14-mile backpacker’s loop is a great (and challenging) run and provides excellent views of the lakes, Mt McLoughlin and Southeastern Oregon. Begin at Seven Lakes Trailhead outside of Butte Falls, climb up to Devil’s Peak and wind through Seven Lakes Basin. Bring bug spray if you’re attempting before autumn. This 27-mile trail outside of the charming town of Jacksonville is relatively flat and has several trailheads, making it great for planning a variety of routes from one mile to all 27. A fun 11-mile out-and-back starts at Tunnel Ridge trailhead off Little Applegate Road and turns around at Little Applegate Trail. 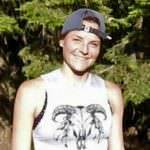 Megan Janssen is a native Oregonian, freelance writer and avid runner who moonlights as a bartender. She hopes to see you on the trail!